Coils are an essential part of the inner workings of a vape device, they're what turns e-liquid into vapor. If you’re curious about how the different parts of vape mods work, you’ve come to the right place. Here, we’ll answer your questions about one of most frequently replaced items in a a vape setup: vape coils. A vape coil at its most basic is exactly what it sounds like: it’s a wire wrapped in a circular pattern, attached to a device's atomizer at the positive and negative poles. When you fire up your device and take a pull, electricity is applied to the wire, the competing positive and negative currents generate heat, and liquid is vaporized. A wick in the center of the coil draws liquid from your tank to the coil, making sure there's always moisture to convert into steam (read: vapor). The vapor then passes through the coil to the mouthpiece. The tricky part is knowing which type of coil to select when you need a replacement. For one, there's the array of coil materials to choose from. They can be made of Kanthal, nickel, stainless steel, or titanium, to name a few of the more common options. For general purpose vaping you'll probably be using stainless or Kanthal, other metals are only safe to use on a regulated mod in temperature control mode and have largely been supplanted by stainless in newer devices. Additionally, clearomizer “coils” often refer to a combination of coil, wick, and atomizer all rolled into one disposable package. 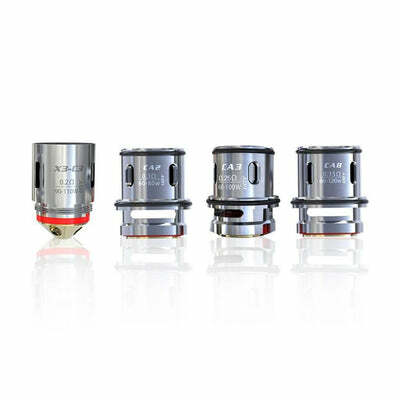 For a device where you'll be building your own coil, look to a rebuildable tank atomizer (RTA) or rebuildable dripping atomizer (RDA) - there's even a hybrid of the two, a rebuildable dripping tank atomizer (RDTA). When it comes to customizing your mod, the difference between store-bought and hand-made coils is largely a matter of preference. People who make their own coils insist their handiwork produces a superior vaping experience, though throwaway coils made in factories have gotten exponentially better over the last few years. Not surprisingly, pre-built coils are much more convenient to purchase and use than hand-made coils. When your coil gets old and goes bad, you simply purchase a replacement at a vape shop or online store. This will get you up and vaping in no time at all. It’s important before you purchase a new one, though, to know which type of coil works best for your device, or, alternately, which types won’t work at all in your device. 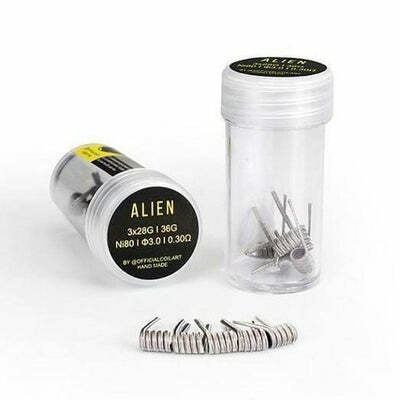 Disposable coils sold online provide a list of tanks they're compatible with; make sure the coil you want to buy will work with your specific tank because a wide variance in height, width, and threading means coils are not generally interchangeable between devices. That said, building your own coil from scratch can be a rewarding experience. Many standard clearomizers designed for disposable coils will come with a single rebuildable deck to try your hand on before investing in a dedicated rebuildable tank. They’re a bit of a challenge at first, but with a little bit of practice and some basic training, you can be a coil building vape expert in no time. Once you get it down, the process can be a relaxing part of your vaping regimen as you get into the zone, and your cost-per-coil drops from dollars to pennies. If you’re interested in becoming a vape coil building expert, there are a number of informative videos on YouTube that give visual instructions, which can help. Before you start building coils you’ll need to acquire (at the minimum) some resistance wire, flush cutters, tweezers, a small screwdriver or coiling tool, scissors, an ohm reader, and wicking material. For some of our suggestions on how to begin building coils, you can check out our three-part series: Part 1, Part 2, and Part 3 can be found here. Whether you prefer pre-made coils or homemade coils, finding what works for you is empowering and can help you gain a better understanding of the mechanics of your device. If you want to make your own coil, use this as a jumping off point as the next phase of your vaping journey. Want to learn even more about coils? Check out our tutorials on vape coil installation and setup, maintenance, troubleshooting, and best practices to make your coil last as long as possible.